The founders of the Salk Institute are the heroes of this story. They belonged to the generation of the Great Depression and the Second World War. Scientifically, they saw the emergence of the field of molecular biology, and several of our founders played an essential role in what turned out to be a revolution in biology. However, it is World War II-both its horrific events and its aftermath-that marked them most as they became deeply involved in experiences that shaped their view of the future, what they wanted to do, the way they operated, and their capacity for risk. After the war, the commitment of the U.S. government to the veterans in the form of the GI Bill and special training made this generation of Americans the best educated anywhere and at any time in history. These circumstances naturally selected an impressive network of outstanding achievers, and the Salk Institute is part of their legacy. Who were our founders? What happened to them during World War II? What did they do after the war? This is the story of how and why, born far apart, they eventually gathered in La Jolla in the early 1960s to found an exceptional institution. Born in the same year, 1914, Jonas Salk and Renato Dulbecco were both medical doctors involved in virus research. Salk was a New Yorker and an alumnus of City College, while Dulbecco was born in Calabria, Italy. The youngest of our founders, Melvin Cohn, was born in New York in 1922. A tough Brooklyn boy, he was, like Salk, a City College alumnus. His friend Edwin Lennox was a southern gentleman born in Savannah, Georgia, in 1920. Both Lennox and Cohn had a background in physics but had turned to immunology by the time they considered joining the Salk Institute. Jacob Bronowski, the oldest of our founders, was born in 1908 in Lodz, Poland; he was a mathematician and a humanist. This group of five individuals represented our first resident faculty, and they called themselves simply "The Fellows." At the time of its inception, however, the institute had a solid and essential second faculty-nonresident Fellows-who spent considerable time at the institute, were directly involved in its activities, and played a critical role in making the Salk Institute what it was and what it has become. These were senior people who, by the 1960s, were already celebrities. The original group consisted of Warren Weaver, Leo Szilard, Jacques Monod, and Francis Crick. The oldest of our founding nonresident Fellows, Weaver, was born in 1894 in Reedsburg, Wisconsin. Trained as a scientist and mathematician, he was one of the founders of the theory of communication and a science administrator who coined the term "molecular biology" while at the Rockefeller Foundation. Szilard was a Hungarian immigrant born in 1898 in Budapest, a physicist who conceived the atomic bomb before he turned to biology and who was involved in numerous political and scientific issues. Monod and Crick were both from Western Europe. Monod was born in Paris in 1910, while Crick was born in 1916 in a small village close to Northampton, England. Crick, trained as a physicist, gained fame by discovering the structure of the genetic material DNA. Monod, the only founding faculty member formally trained as a biologist, pioneered the field of gene regulation. World War II began on September 3, 1939, when Britain and France declared war on Germany, two days after Hitler invaded Poland. Fighting in Western Europe started on May 10, 1940, the day Nazi Germany invaded Belgium. I remember, as a little girl living in Brussels, being awakened early that morning by strange loud noises. My mother ran into the room I shared with my sister and yelled, "C'est la guerre!" Through the big window in our kitchen I saw the first German airplanes flying low. I heard the first bombs exploding and I felt the ground shaking. For us Belgians, this day would mark the beginning of a five-year nightmare: the occupation, the bombings first by the Luftwaffe and later by the Allies, the fear, the freezing winters, the sleepless nights in the basement, and the scarce food. Soon the Nazis invaded France, while Spain and Italy sided with Hitler, and the war spread to the Mediterranean basin, North Africa, and eventually Eastern Europe and Russia. Far away Japan attacked islands in the Pacific and finally Pearl Harbor on December 7, 1941, and the United States entered the war. The invasion of Belgium certainly came as no surprise to Leo Szilard. As early as August 1939, Szilard, then a forty-year-old American physicist, had drafted with his mentor, Albert Einstein, a letter to President Franklin D. Roosevelt warning him of the possibility of using uranium as a powerful source of energy that could lead to the construction of extremely destructive bombs. A few years earlier, in 1933, Szilard had conceived the famous chain reaction that is the principle of the atomic bomb (he patented it one year later). In collaboration with the Italian physicist Enrico Fermi, he invented the nuclear reactor that uses uranium to sustain such a chain reaction and releases atomic energy by nuclear fission. The Einstein-Szilard letter urged the support and development of research in this field and further informed the American president that the richest source of uranium was the Belgian Congo. That Germany had taken over the Czechoslovakian uranium mines and stopped the sale of uranium was also an indication that the Nazis might be involved in nuclear fission research. The August 2, 1939, letter, conceived by Szilard but signed by Einstein, was to be delivered by Alexander Sachs, an economist and banker and an unofficial advisor and friend of Roosevelt. However, the start of World War II on September 3, four weeks after the letter was written, had delayed Sachs's appointment with the president. It is in that political climate that the letter was eventually delivered in person by Sachs to the Oval Office on October 11. Sachs included a cover letter to the president pointing out the extreme danger of a German invasion of Belgium, an ally that could provide the richest uranium ore in the world. Roosevelt responded promptly and efficiently by immediately setting up the Advisory Committee on Uranium that included Sachs, Szilard, two other influential Hungarian/American physicists, Eugene Wigner, Edward Teller, and representatives of the U.S. Army and Navy. This committee promised U.S. government funding of uranium research, which was the first step in the American program to build the atomic bomb: the Manhattan Project. The Advisory Committee on Uranium eventually became a section of the Office of Scientific Research and Development (OSRD), a civilian establishment in the Executive Office of the president, headed by Vannevar Bush, who reported directly to Roosevelt and who had become an influential military advisor to the president. By 1941, Bush was convinced that the United States should undertake an aggressive program to build an atomic bomb, and by the end of that year he had obtained Roosevelt's approval. At the request of Bush, the project was turned over to the Army in June 1942. The Army Corps of Engineers appointed to head the project Colonel Leslie R. Groves, a West Point graduate who had masterfully directed the construction of the Pentagon. Quickly promoted to brigadier general, Groves selected J. Robert Oppenheimer as director of research at the Los Alamos Laboratory in New Mexico, established in 1943, where the bomb would be built. Various aspects of the Manhattan Project were carried out at multiple sites in the United States, including the University of Chicago Metallurgical Laboratory, where Szilard worked. Being led by an army general did not sit well with Szilard, who quickly clashed with Groves. Unable to fire Szilard, Groves tried to get him interned for the duration of the war, but he only succeeded in banning Szilard from entering the Los Alamos Laboratory compound and in getting him to sign over the rights to his nuclear invention patents to the army for one dollar! One of the Fellows did work on the A-bomb in Los Alamos: Edwin Lennox. In 1942 Lennox had started graduate school at the University of Rochester, where the theoretical physicist Victor Weisskopf was a professor. However, the Physics Department was being drained as several senior members of the faculty had left to work on various war-related projects. By 1943 the department closed down. Eventually Lennox received a letter from Weisskopf inviting him to work at an undisclosed location on an unidentified project. In early 1944 he ended up in Los Alamos, where he was assigned, as a civilian, to work in a group led by Weisskopf in the Theoretical Physics Division headed by Hans Bethe. In July 1945, Lennox was sent down to a site near Alamogordo to help set up equipment where the A-bomb was going to be tested. He witnessed the first nuclear explosion, the Trinity test, on July 16. As Lennox recalls, "It was one of those life-changing experiences." By the time the A-bomb was ready and successfully tested at the Trinity site, Roosevelt had died, Truman had been sworn in as the thirty-second American president on April 12, 1945, and Germany had surrendered on May 7. With the war in Europe won and Japan growing weaker, Szilard made several unsuccessful attempts to stop the use of the A-bomb. On August 6, a bomb was dropped on Hiroshima. Three days later a second bomb was dropped on Nagasaki and Japan surrendered on August 15. While making unnecessary the U.S. invasion of Japan that had been planned for the fall, these two bombings killed an estimated 250,000 people, mostly civilians, and started the era of fear of nuclear wars that lasts to this day. Szilard tried in many ways and for the rest of his life to speak to the conscience of the scientists. Before the A-bombs were dropped, the Allies had concentrated forces in the Philippines in preparation for the invasion of Japan. Those Allied forces consisted mostly of American troops and included one of our Fellows, Melvin Cohn. In March 1942, when General Douglas MacArthur had left his headquarters in Corregidor to escape the Japanese invaders, he warned, "I shall return." He came back in the fall of 1944 with heavy troops that liberated the Philippines in the largest campaign of the Pacific war, the Battle of Luzon. It took until March 1945 to clear Manila of all Japanese, and Cohn has powerful memories of entering the city under snipers' fire. At the news of the surrender of Japan most American soldiers were sent home, but Cohn was declared essential and was shipped to Hiroshima to help prepare the army's report on the effect of the A-bomb. What struck him most upon entering the ruins of the Japanese city was that "nothing stood higher than my waist, except for a tall and twisted metal structure." That structure still stands, preserved as a memorial: it is the frame of a tall building, the Genbaku Dome, which withstood the explosion because the blast took place directly above that structure. Three months after the A-bombs had been dropped, Jacob Bronowski was sent to Nagasaki to report on the effects of the bombings to the British government. England had made important contributions to the development of the A-bomb, both by influencing the initiation of the Manhattan Project and by carrying out its own research program on uranium. The British wanted their own report. As scientific deputy to the British Chiefs of Staff Mission to Japan in November 1945, Bronowski participated in writing the report "The Effects of the Atomic Bombs at Hiroshima and Nagasaki," and he vividly recounted his impressions of Nagasaki. During the war he had also used his expertise as a mathematician to evaluate the most destructive means to bomb German targets on the ground. Another Fellow mathematician, Warren Weaver, played an active role in protecting London from German bombs. As a statistician, he was one of the first to be appointed to Bush's OSRD to organize and direct a section called the "fire-control section." That group was concerned mostly with the design and test of devices that increase the efficiency of antiaircraft fire. The bombing of England had started in July 1940, causing disastrous damage to the London area. During the Blitz in March 1941, Weaver sailed to England with a group of scientists who, on the night of April 16, witnessed the worst bombing raid on London: from nine P.M. until five A.M. hundreds of German bombers flew over London, leading Weaver to write, "From the roof of our hotel one saw a ring of huge fires." In June 1944 the Germans began to use "buzz bombs," unmanned missiles preset to detonate over London. I remember those well because we could hear them fly over Belgium, where many exploded as well. By that time several devices had been developed by the OSRD that tracked and computed the position of planes and missiles and vastly increased the chance of their interception by the antiaircraft guns installed on the east coast of England. While Francis Crick was a graduate student in physics at University College London (UCL) in 1939, England had declared war on Germany. Before he had completed his "scientifically boring" research, not only did his laboratory close but the apparatus that was the product of his doctorate research was destroyed by German explosives. The German navy was using U-boats and mines to block merchant ships in an attempt to starve Britain into submission. Crick was appointed as a civilian to the Admiralty Research Laboratory. He was first assigned to the Minesweeping Division, and by 1941 he was attached to an ambitious group of the Mine Design Department located near Havant, a small town close to Portsmouth on the south English coast. Here Crick was able to exercise his ingenuity and logical thinking to successfully design new types of mines that sank more than a thousand German and Italian ships. Time spent in the Mine Design Department allowed Crick to interact with distinguished mathematicians and physicists, and this proved critical to his career as it generated confidence and enthusiasm for his research. Across the Channel, France had been attacked in the spring of 1940 while Jacques Monod was at the Sorbonne, completing the work on bacterial growth for which he was awarded his Ph.D. in 1941. As France immediately negotiated an armistice with Germany, only the north of France-including Paris-was militarily occupied, leaving most of the country under a French regime that cooperated with Germany. This makes the World War II history in France complex, as resistance was not openly encouraged. However, as early as October 1940 Monod was already involved with a resistance group and was interrogated by the Gestapo, but he managed to escape. All through the war Monod resisted actively with a group from the Sorbonne organized by the Communist Party. After multiple arrests of leaders from that group, it had become dangerous to go back to the Sorbonne, and Monod started to work at the Pasteur Institute in the lab of André Lwoff. Through his brother, a resistance leader who lived in Geneva, Monod was able to furnish precious information to London. He also played a dangerous role in the liberation of Paris when he occupied the war ministry and arrested French leaders who had cooperated with the Nazis. If the political situation in France during World War II was ambiguous, it was even worse in Italy, where the Fascist Mussolini had been dictator since 1925, when Renato Dulbecco was still a teenager. In June 1940, while Germany appeared victorious, Italy declared war on France. As a recently graduated M.D., Dulbecco was immediately drafted as a physician with an infantry regiment and sent to the French border, where he received his baptism by fire in Italy's disastrous attempt to invade France. However, as expected from its new regime, France negotiated an armistice with Italy within two weeks. By March 1943 Dulbecco was sent to Ukraine with the Italian forces fighting on the side of Germany on the Russian front. At first he regarded that campaign as a great adventure, but he was soon disenchanted as he experienced bitter cold, bombings, and the atrocities of war. By September 1943 Italy surrendered to the Allies and, in an about-face, declared war on Germany! In the total confusion that followed, Dulbecco started helping the anti-Fascist partisans until the Allies liberated Italy from German occupation and Fascism in April 1945. Meanwhile Jonas Salk was doing what he could do best: developing an anti-influenza vaccine for the American Army fighting in Europe. After his internship at Mount Sinai in 1941, Salk had obtained a temporary job with Thomas Francis, his former mentor from New York University who had moved to the University of Michigan. With the United States at war, Francis was made head of the army's Commission on Influenza, and in spring 1942 he helped Salk obtain an occupational deferment to study the influenza virus. This was, indeed, a field directly relevant to the war effort, as flu had devastated the U.S. Army during the First World War, and Francis was the recognized U.S. expert on the human flu virus. It is while working with Francis on the flu vaccine that Salk received the training he would later need to develop the polio vaccine, a crucial step in the genesis of the Salk Institute. It is poignant that, by the fortunes of war, Dulbecco was with the German army on the Russian front, whereas Cohn was with MacArthur in the Philippines and Bronowski was seeking the maximum destruction of Germany while Weaver was working on shielding London. It is ironic that Cohn and Bronowski were involved in reporting on the effect of bombs that Szilard and Lennox took part in building. Meanwhile, Monod and Crick were in harm's way and interrupted their careers to protect France and England from Nazism and destruction. All had horrendous experiences that were to change their lives and transform the world, and the painstaking war-oriented flu vaccine work of Salk was to lead to the successful polio vaccine and to the creation of an institute that would contribute to making our planet a little more livable in the atomic age. What kind of an institute did Salk have in mind? How did his vision evolve? How did he end up in unheard-of La Jolla? How did he attract such a stellar founding faculty? What did he have to offer? Was he bluffing or could he deliver? 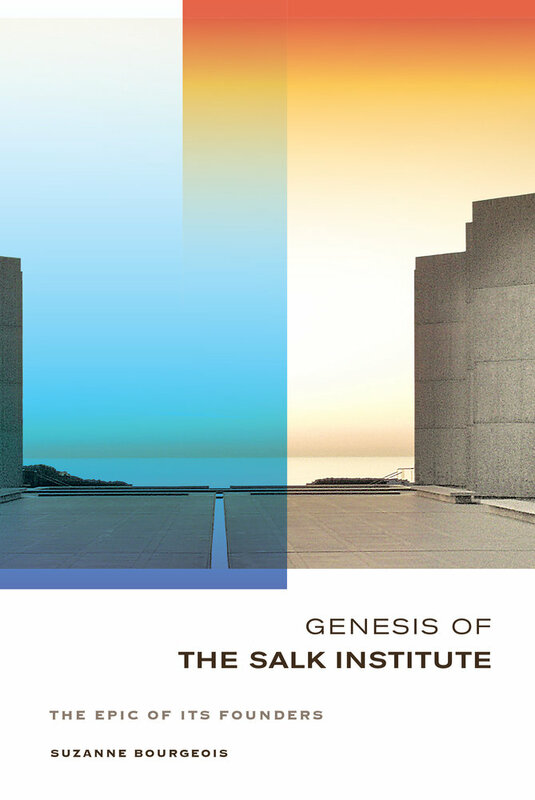 This is the story of the difficult birth and growing pains of the Salk Institute from its origin to its realization and early history, covering a period of about twenty years, starting after the success of the polio vaccine in 1955 until the mid-1970s. This work is a personal account of the origins and early years of the Salk Institute for Biological Studies. Bourgeois crafts an engaging study that draws on her involvement with the Institute and on related archives, interviews, and informal conversations. The volume discusses the people who founded the Institute and built a home for renowned research—leading scientists of the time as well as non-scientists of stature in finance, politics, philanthropy, publishing, and the humanities. The events that brought people together, the historic backdrop in which they worked, their personalities, their courage and their visions, their clash of egos and their personal vanities are woven together in a rich, engaging narrative about the founding of a world-premier research institution. Suzanne Bourgeois is Professor Emerita and Founding Director of the Regulatory Biology Laboratory at the Salk Institute. She has published widely on gene regulation in numerous scientific journals. 5. What Was It about La Jolla?